Hillstone Networks oﬀers an intelligent next-generation Firewall with advanced technology includes sophisticated behavioral intelligence; data analysis and deep application awareness to ﬁnd and stop advanced threats. Today’s cyber attackers have become ever more sophisticated, using targeted, persistent, stealthy and multi-phased attacks to avoid detection at network perimeters through traditional security measures. These advanced threats frequently change and mutate, eventually, becoming the so-called zero-day attacks. Ransomware is the most typical advanced threat now, combining new malware variants and new attack tactics to make it an increasing threat to all organizations. It also makes conventional techniques ineffective. As datacenters have evolved from physical to virtual, enterprise to cloud, the security challenges they face have also evolved. The cloud-enabled data center needs a new security strategy and solution that can cope with virtual demands with minimal performance impact. Micro-Segmentation is critical in ensuring security in the cloud. It addresses the gaps in visibility and control of traffic at the virtual machine level. Network Function Virtualization (NFV) is designed to consolidate and deliver the networking components needed to support a fully virtualized infrastructure — including virtual servers, storage, and other functions such as the firewall, which are also known as Virtualized Network Function (VNF) modules. This NFV/VNF deployment is typically complex and requires automatic orchestration support. Security management is always a headache for customers, regardless of whether it’s a large enterprise or small business. On the one hand, customers need a more smart and flexible centralized management solution to maximize operational efficiency. On the other hand, Managed Security Service Providers (MSSPs) have evolved to help customers with security management and operations. Hillstone Networks was included again today in Gartner’s Magic Quadrant for Unified Threat Management (UTM) for five consecutive years. Hillstone UTM solutions deliver complete security and networking services, tailored to meet the performance and value requirements for small and medium businesses as well as distributed enterprises. With More than 15,000 Enterprises Protected Today by Hillstone Solutions, It’s Clear our Solutions Work. 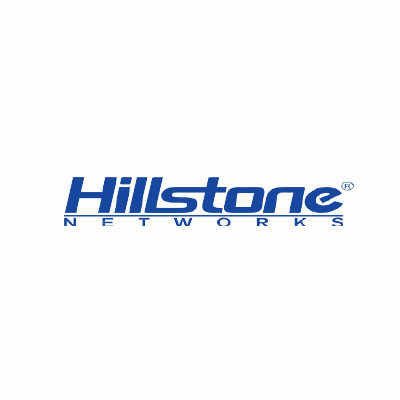 While network security companies boast about their products, Hillstone Networks has steadily added new products that match the needs of modern companies based on real-world needs. Our business model is to make network security work for your organization. We do that by inventing new technologies where one doesn’t exist; by optimizing existing, proven technologies to make them faster and more effective; and by delivering them as a solution to make deployment as easy as possible.